Minister for Planning Matthew Guy has opened a new $500 million residential and retail hub in Bundoora, one of three major redevelopment projects in the housing hot spot. 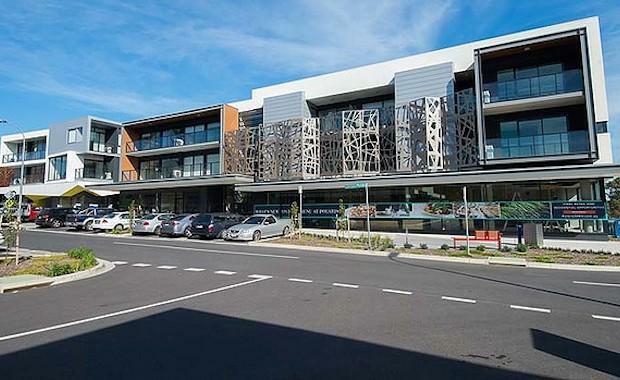 Polaris 3083 is a major infill development on the site of the former Larundel Hospital, providing a new town centre and more than 1100 dwellings next door to La Trobe University and Bundoora Park. “Almost 11 hectares of land is being transformed in a way that really adds to the local community, with a new shopping centre already supporting nearby residents,” Mr Guy said. Plan Melbourne, and provides an opportunity to increase the number and range of jobs in the northern subregion. The Minister officially opened stage one of the Polaris project, including a shopping centre, 64 apartments, and inspected progress on the residential development of 140 townhouses and apartments, due to come online next year. “The northern region of Melbourne is likely to grow by 400,000 to 470,000 people by 2031, which means around 140,000 dwellings will be needed in areas just like this Polaris site,” Mr Guy said. DealCorp recently received approval for a $300 million Village Precinct Plan, including expanded retail, more townhouses and apartments, restoration of heritage buildings and the possibility of student housing and an aged care facility.